Monday nights, however, they leave their car and join a line of people outside the Forest Grove United Church of Christ. Some in the small crowd are bedraggled and unkempt, their clothes and skin stained with dirt and sweat. Some offer bits of casual conversation, an occasional laugh, soft guitar music. If it’s windy or rainy, everyone huddles close to the building for protection. The doors, they know, will open at 7 p.m. Inside, a hot meal, beds and blankets await them. Some have slept on the ground, in bushes, along sidewalks and in cold cars all weekend as they waited for Monday night to arrive. Since the mid-1990s, Forest Grove’s UCC has served as a severe-weather shelter, offering beds to homeless people when the temperature dips below 32 degrees or above 90. This year, there have been two big improvements to the program. First, the UCC began opening regularly every Monday and Tuesday, regardless of the weather. And second, it had a local partner: Sonrise Church, which opened Wednesdays — until March 2, when both shelters closed for the season. Other church shelters in Tigard and Sherwood stay open Fridays and Sundays until late March. But most of the Forest Grove shelter guests are local to western Washington County, said UCC Pastor Jennifer Yocum, and have trouble traveling that far for lack of a vehicle or means to buy a bus pass. In December 2008, the same year Yocum became pastor, a huge storm rocked the Portland area, with several feet of snow accumulating along Interstate-5 and throughout the suburbs. This led the UCC to remain open for more days than its congregation expected, which resulted in volunteer burnout. “Providing shelter is hard,” Yocum said, both physically and emotionally. 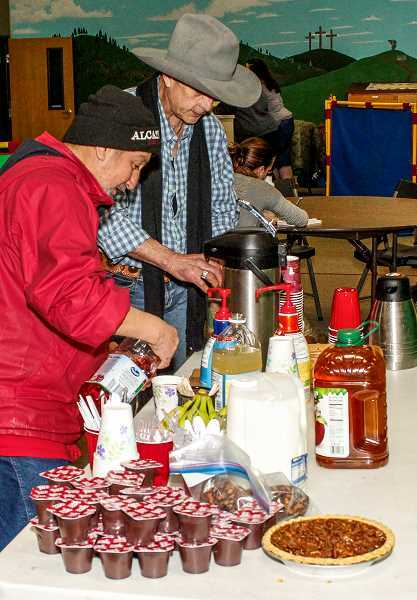 Jose Soto (left) and Randy Nelson (cowboy hat) pour themselves beverages at Sonrise Church in Forest Grove Wednesday, March 2. After that snowstorm, the UCC partnered with Pacific University to get help from work-study students. The students and volunteers all needed to commit to a 12-hour night shift, sleeping at the church. The partnership reinvigorated the shelter, but by last year, interest began to wane again. Yocum struggled to find volunteers and the shelter opened fewer days as a result. So in spring 2015, she decided to reach out to Sonrise Pastor Rudy Tinoco. According to Tinoco, the original plan for Sonrise when Yocum first approached him was to offer meals and give away bags of soda cans for people to recycle and collect a few bucks. If Sonrise could recruit any volunteers through this new effort, they’d send them to Yocum and the UCC to help out. “I wanted her to feel supported,” Tinoco said. A huge number of people — more than 50 — showed up for this season’s volunteer orientation, Yocum said. Because the volunteer turnout was so great, Tinoco chose to open Sonrise’s own shelter on Wednesdays — with each church sharing its volunteer base. Tinoco was ready for some of the challenges: washing blankets, buying beds, collecting clothes and food donations. But he didn’t realize just how large the undertaking would be. “The greatest challenge came from finding volunteers to stay the night,” he said. Pacific University junior Tyler Goldman learned of the Forest Grove United Church of Christ’s homeless shelter through his Civic Engagement course. 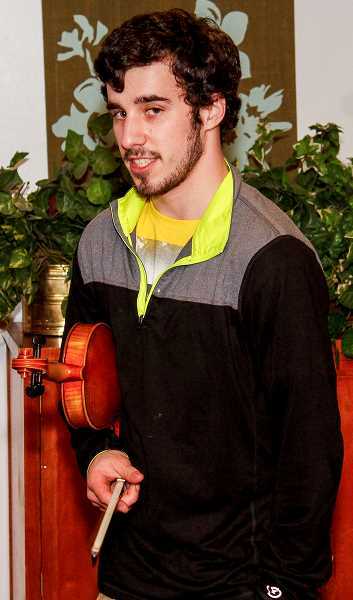 Goldman decided to put his violin skills to good use b playing for the folks at the shelter. “I just want to give back to the community,” he said. A 2014 Pacific University graduate, Maria Gonzalez-Cress volunteers regularly at both shelters. She hands out blankets and food and also helps write letters to assistance organizations. Much of the time she just sits and talks with the guests. “We had under 10 people the first night we opened in December,” Tinoco said. But as word spread that a Wednesday shelter was being offered, that number increased to more than 20 every Wednesday for the past five weeks. There were enough volunteers and space that Sonrise never had to turn anyone away, Tinoco said. But with room for a maximum of 23 people, the UCC occasionally had to shut its doors with folks still outside on particularly cold nights when the turnout was the greatest. Yocum said she believes that because the shelter was on a more regular schedule, guests counted on it being open. When turned away — especially if they’d traveled from some far-off cranny of metro Portland — they were upset. Sometimes the church would purchase bus tickets for guests who didn’t make it through the doors so they could search for shelters in other areas, she said. The UCC’s last open night, Tuesday, March 1, was particularly difficult — not because any guests were turned away but because “folks were coming in soaked,” Yocum said. “Pants, coats, everything was just wet.” It was the same at Sonrise on Wednesday, March 2. Though their guests had a warm, dry place for the night, everyone knew it would be the last for awhile. “When I’d ask someone, ‘Where are you gonna go next week?’ they could only reply, ‘I don’t know,’” Yocum said. In the previous five years, the UCC maintained an average of four to 10 guests per night. This year, it saw 16 to 18 guests per night. Tinoco’s dream is to see more churches in Forest Grove coordinate to collectively offer seven shelter days per week. 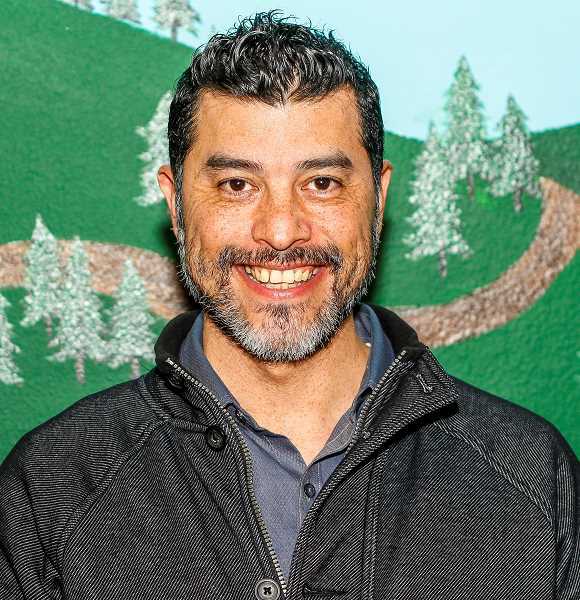 Just in this short season, Sonrise has learned a lot about running a shelter, said Tinoco, who believes other churches could easily get up to speed. “I wish I had acted sooner,” Tinoco said. There’s little red tape involved, he said. Raising awareness is key but “I don’t want to guilt people into doing it,” he said. Meanwhile, Ruben Serna and his family head back outside, hoping to raise their income somehow. Ruben can’t sell plasma due to address restrictions. Sasha can’t work a steady job because they can’t afford daycare and someone needs to pick up the boys after school. She takes day labor jobs when she can. 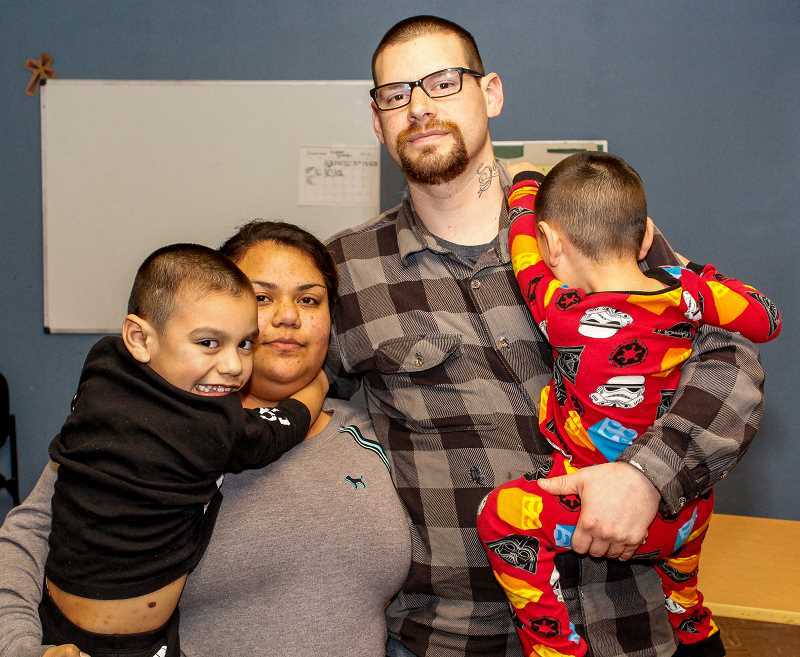 With the Forest Grove shelters closing earlier this month, the little family hoped to get housing through the Community Action Family Shelter in Hillsboro. They’ve been on the waiting list for months. A scar runs across the top of Pete Mauger’s shaved head and his large, meaty hands look capable of crushing rocks to powder. But his voice is soft and his words are thoughtful and articulate. Mauger is 33. His father died in 2008. His 2-year-old daughter succumbed to cerebral palsy in 2009. His mother passed in 2014. To escape all his hurt, Mauger said, he turned to methamphetamines. He dropped out of Portland Community College, where he’d been studying to become a welder. Then he dropped out of family life with his girlfriend and 10-year-old daughter, Hannah. After living in drug houses and burning bridges with all his former friends, Mauger found himself homeless with nowhere to go. “I was so depressed,” he said, “I just wanted to sink into the ground,” which is exactly where he ended up. Then a friend slipped Henry David Thoreau’s “Walden” into Mauger’s bag. 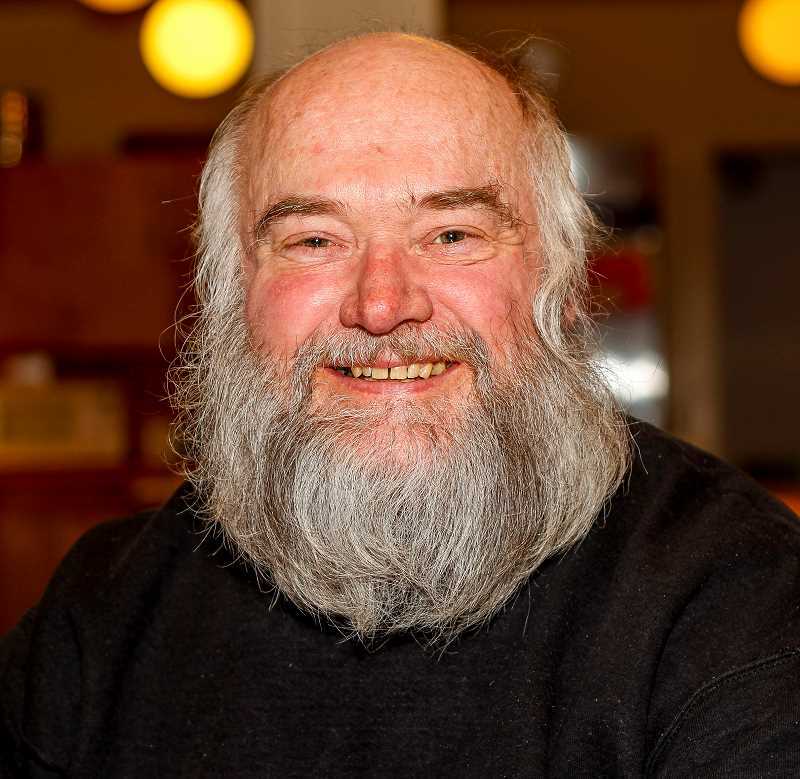 “Thoreau saved my life,” said Mauger, who recently got a job making pizzas at a Round Table Pizza in Hillsboro and said he’s been clean for the past two weeks. His next objective is to get back into the world and return to his role as a father, Mauger said. Sitting on the cold sidewalk in front of Sonrise Church in Forest Grove, Randy Nelson plays his guitar for the folks who’ve lined up, waiting for the church’s homeless shelter to open. “I’ve never been homeless in my entire life,” Nelson said. Born and raised in Forest Grove, he had lived with his wife in an apartment for the past three years. After her death, he went to Idaho, where he was cited for driving while intoxicated. Complications from that ticket landed him in jail for nine months. When he got out in September, his Forest Grove apartment was occupied by someone else and all his belongings were gone. He’s been homeless ever since. While Lisette Acosta speaks with other guests at the Sonrise shelter, her 11-year-old son Elijah plays on her cell phone. The pair lives in Lisette’s car when they’re not able to get into a shelter, but Lisette’s fear of the state taking her son prevents her from sharing more details. “If he sleeps in my car, I run the risk of losing him,” Lisette said. The car isn’t running right now because it needs a timing belt replaced. Lisette and Elijah have been on the street off and on for the past year, she said, after her husband, Elijah’s father, put a 30-day notice into the apartment they were sharing when the couple made the decision to divorce. During the day, Elijah attends school in Hillsboro while Lisette meets with social workers. She’s currently on the Washington County Community Action housing wait list and hopes to get into a home within the next three weeks. Recently, a state worker suggested she put her son into foster care but Lisette doesn’t want them to be separated. 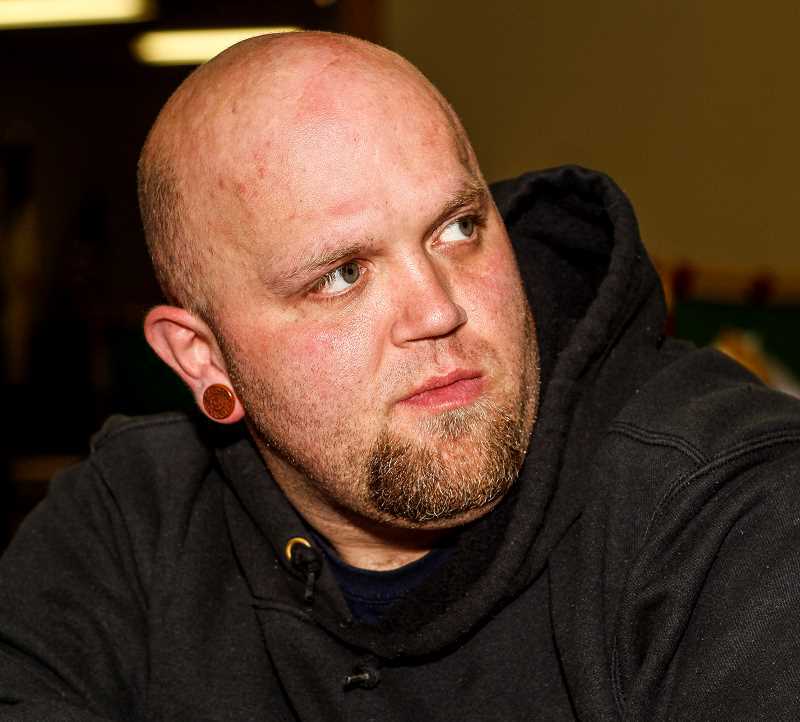 On Feb. 23, Eddie Groth slept at the Forest Grove United Church of Christ Homeless Shelter. The next day he went into the hospital for pneuomia. On March 2, Groth was released from the hospital and spent the night at the homeless shelter set up by Sonrise Church in Forest Grove. 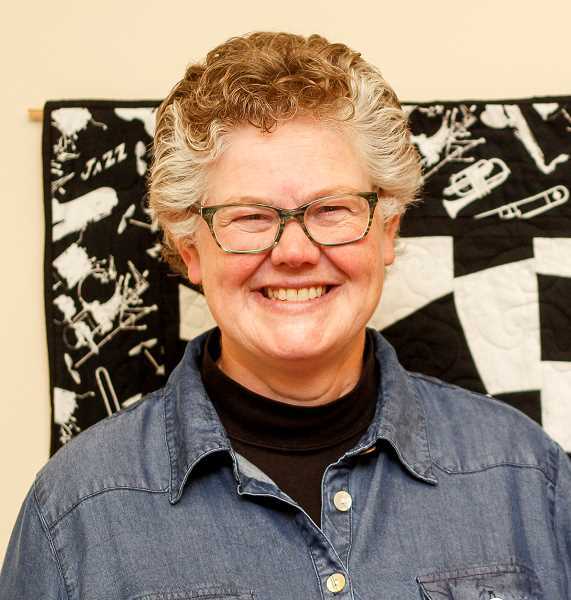 Now 59, Groth grew up in Hawai’i, majored in architecture in college and moved to Oregon in 1980, the day after Mount St. Helens erupted. The sky was still dark from ash. He worked at a technology company and after 9-11, he used his 401k money to get a computer science degree. But after suffering congestive heart failure in 2008, Groth was forced to apply for disability and social security benefits to secure a fixed income. In January 2015, Groth had two months worth of rent saved when his landlord informed him the cost of his two-bedroom, one-bath home would increase from $980 to $1,600 per month. He was on the street by February. From November through March, Groth spent three reliable days a week in Forest Grove’s shelters. But now the season has ended. And he’s run out of heart medication. “My thing is to just keep going,” he said. ← We’ll miss you, Doug.